In Asia, Feng Shui is a "game for the rich." Historically, it built empires and made emperors. 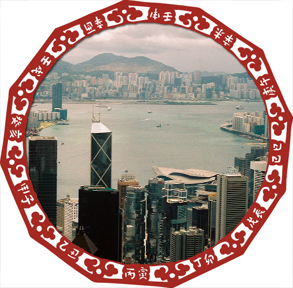 My Feng Shui journey began in 2000 in Hong Kong as the tour bus climbed Victoria Peak for a dramatic view of the city and harbor below. The guide announced into her microphone about Feng Shui this and Yin Yang that. She explained that Hong Kong is one of the richest cities because the harbor is shaped like a giant money bag. The mansions and banks all sit in the belly of the dragon so this is where rich businessmen live and work. One thing I knew for sure, this is where I wanted to be and I wanted to know more. My studies started at the Western School of Feng Shui with Terah Kathryn Collins. She was a pioneer with a New Age view. I found this work so fascinating I started consulting full time. Yet, after years I grew tired of telling people to clear their clutter and knew there must be more to Feng Shui. That's when a trip back to Hong Kong rocked my world. Master Jill Landers gave me a magical RuYi for my desk and recommended I study Classical Feng Shui and BaZi Chinese Astrology with Dato Joey Yap. Divine timing stepped in because when I returned home Joey was leading his yearly lecture in Los Angeles and I had a front row seat. Since that day Joey has been my mentor and teacher. He continues to push the envelope on this complex field and my goal is to keep up with him. As one of the few experts in the West practicing Classical Chinese Feng Shui, let me help create your own personal nirvana. Lesson: when you take action on Feng Shui you can change your life quickly. HOW CAN I HELP DIRECT YOUR FENG SHUI? As an intuitive houses literally talk to me and I listen to those messages. In certain circles I am known as the Hollywood House Whisperer. A Luo Pan Compass is my tool mapping out auspicious and inauspicious sectors. Important areas include the entry or Ming Tang, bedrooms, kitchen and home office. The goal is to tap into everyone's best directions and activate rooms with good energy. We do this by referencing the BaZi Astrology or birth charts of all residents. We do not dangle coins or other objects to make your home or office resemble a Chinese souvenir shop. Good Feng Shui is subtle and invisible. When done correctly, Feng Shui anchors intentions and supports goals. "Anita was called to the W Hollywood Residences for an "emergency Feng Shui" consultation to offer suggestions to attract new buyers. We especially needed her quickly since there were perspective buyers arriving from China." "Anita and I go way back. She has Feng Shui'd all my houses and with her BaZi reading, she opened my eyes to what I need to build my design business. Anita is easy to work with with and the way she presents the information is easy to absorb. I now have a game plan to make more money and win that Oscar." "I am incredibly grateful every day for Anita's advice, mentorship, insight and guidance into both the personal and professional areas of my life. Her expertise into Chinese metaphysics and Feng Shui has had a profound influence on my life. I wholeheartedly would be lost without the BaZi readings she has done for me every year and there is simply no way I would have achieved the same level of success and alignment in my business and career without her Feng Shui set-up of my home." "I had a Feng Shui expert come to my home. What could go wrong?" INTERESTED IN RECEIVING MORE INFORMATION ON FENG SHUI CONSULTATIONS?